So how fun was yesterday?!?!?! Y'all are all so so so cute!!! I haven't had as much time to read through your stories as I'd like - but you better believe I'll be spending my lunch break readign through them all week :) And thank you for all the LOVE for Dave and I... and especially Dave... he really is the best and all of your sweet comments were so nice - thank you!!! Up first is the new Tomato Brilla hoddie from Evys Tree. I discovered Evy's Tree a few months ago and have since become a total addict. I wear their hoodies ALL THE TIME! I consider myself a little bit of a hoodie expert (Sheaffer will vouch for me) and these are the best of the best. As soon as the brilla arrived on my doorstep I ripped open the package and threw it on. The color is PERFECTION and is has thumb holes! THUMB HOLES!!! So so so comfy! I paired it with my Manda Strong tee, distressed jeans, TOMS flats and was ready for errands. Cute and comfy. I may also be notorious for wearing it with my sweats after school as well... and the ruffle goes all the way around the hood! and if you order the Tomato Brilla, you should probably check out their other items, because Holy cute!!! 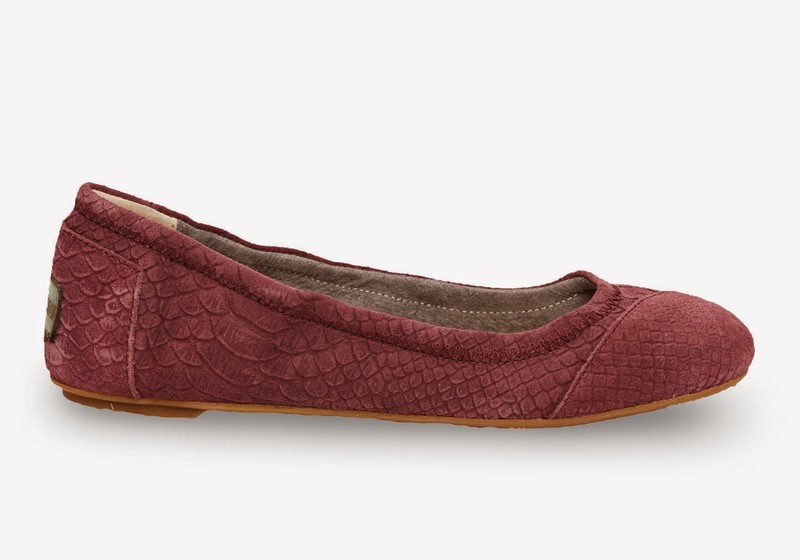 If you've read here for long, then you know how much I love my TOMS ballet flats AND this pair is on sale and still seem to be available in lots of sizes from the TOMS site. Next up is this aztec sweater and crown tee that I wore out on Sunday night for our Sunday School's class monthly girls social. 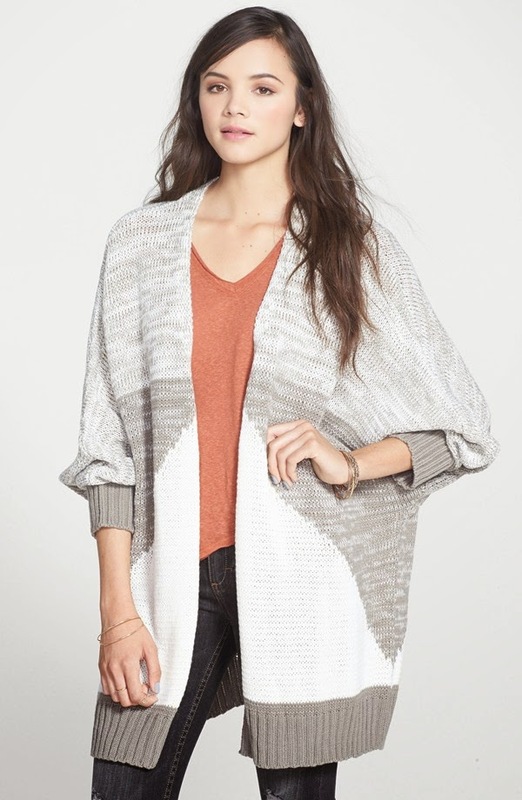 My cardigan is sold out, but check out these cute options!!! Last night we went to dinner with Dave's parents, grandmas and brother and I wore my distressed jeans, a mustard oversized sweater, TOMS flats and blanket scarf. All blanket scarves from TaraLynns are now only $15.99 with code BLANKETSCARF !!! Hurry!!! Next up is our new Spring Matilda Jane! G and I have been loving the fresh colors and patterns! If pastels aren't your thing, be sure to check out the new Lovely Life pants. I wore them on Saturday to brunch (with the best denim jacket ever any Nena and Co bag) and got tons of compliments. I'll be hosting online again on March 1st - so if you want a pair, just let me know! 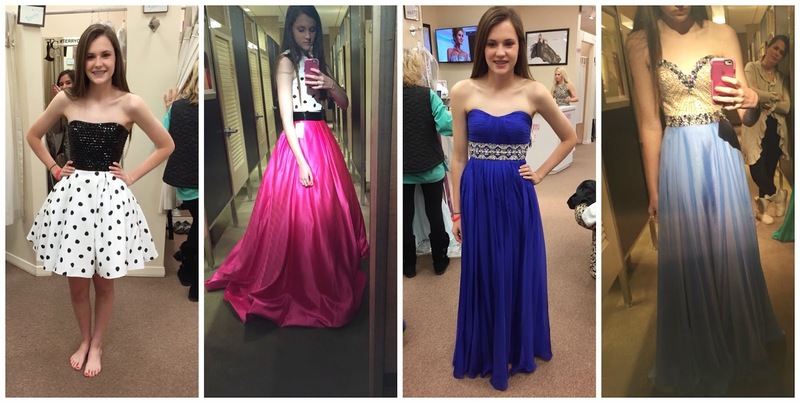 And now, we're soliciting PROM dress advice from y'all! Because, how fun is it to pretend that we're all 5'10, super gorgeous and picking out a PROM dress, right??? :) So, comment below and chime in with your pick! Dress Three - Hello, Gorgeous!!! So.... which one should she pick?!?!?! I've already cast my vote and I'm pretty sure everyone already knows which one it is... because I want to buy it and wear it to the grocery store, and the park and to work. I DIE. She looks so beautiful in all of them!!! I love the last two the most and I would have to chose the very last one- it's very classy but unique in design/color!! Have fun Anna Grace! I'm torn between 3 & 4! I think my final vote would be 3. But she will obviously look amazing in anything, she's stinking adorable! Dress # 3. What a doll Anna Grace is! She's gorgeous! I looooove the second and the fourth! You know my vote is for the blue! Anna Grace, GO WITH THE BLUE! You look GORGEOUS girl!!!!!!! Number 1 or 3 is my vote. If I was going to prom I wouldn't want to deal with a long dress. I don't know how y'all do prom but here everyone rents either a limo or party bus. They all go to eat and then do the prom. My daughters dress kept getting stepped on and even ripped. (She wouldn't listen to mom) ha! But regardless of what this young lady wears she will be BEAUTIFUL!!!!!! Number 4! Then 2, then 1. That's my ranking! 3 or 4, I truly can't decide which one! She looks amazing in ALL of them! This is fun! All beautiful dresses but I would pick "barbie goes to prom"
Anna Grace should go with dress 3~ that color is beautiful on her! #1! It's so much easier to dance in short dresses! Barbie goes to prom! Duh! LOL. Barbie goes to prom .... for sure!!!!!! I love dress number 3!! She looks gorgeous! #2 all the way!!! I don't know what the girls do now, but when I was in HS short dresses were for Homecoming and floor-length dresses were for Prom so I'm partial to the long ones. Barbie goes to Prom for the win! I love the "Barbie goes to prom" dress, but I might just be partial since my five-year-old is having a pink and black Barbie-themed birthday party! She looks very regal in it though. Oh gosh! Prom! It has changed since '98 :) That said, LOVE the blue in #3 - I think it brings out her features. #4 is beautiful as well. I like #2 and #1 but I guess I am more of a classic prom girl, ha! I love the Barbie goes to Prom dress - definitely my favorite option! While I agree that #3 is the most "prom" and a stunning color, I think #2 and #4 are different and unlike what others might be wearing-so I choose them for their uniqueness. But let's be real-that girl could wear a potato sack to prom and still look better than anyone else. Can't wait to hear which one she chooses! #4. She looks so gorgeous! #4 She looks so gorgeous! Well, she probably needs to figure out how prom is done there by other girls...???? ?.....here it is long dresses but at a town a couple of miles away, all the girls wear short dresses.....so that should be a consideration. #3 and #4 look traditional prom to me. The blue is beautiful and #4 is a bit different in coloring. These will be traditional dresses like most other girls would wear. If she wants to fit in, one of these should be her choice. If she wants to stand out #2 is the choice. Adorable. That being said, my daughter had a bigger skirt like that at one of her proms and was not a happy camper by the end of the night.....she looked adorable but her and that skirt wrestled all night long....people stepped on it, when they were eating, a chair rolled on it, etc....she felt like she had another "thing" to think about all night instead of just having fun. #1 is adorable and if short dresses are the thing to wear, this is a precious choice!!!! OH my, she looks fantastic in all of them!!! She should just get all of them and rotate through out the night !!! hehe! But realistically one has to choose. I think #2 is just super fun and will set her apart! That's my vote. Dress 2 Barbie goes to prom--even though we couldn't really see the neck line so it could be a deal breaker of it's too low cut or funky. #3 was a close second. I love royal blue (wore it to my own prom!) but that dress didn't have the wow factor that #2 had. Have fun Anna Grace! Dress 2 all the way! I love it! I love love love dress #1...but also love the Barbie dress!!! Barbie is so amazing but I love #3 as well. Have so much fun Anna Grace! 2 or 3. She'll be lovely in any of them! Barbie or number 4, however she looks beautiful in all of them. #2!! I also want this dress. It would like smashing at dance class. I like the first one with the polka dot skirt. She is a cutie! #2 for sure!! When else can you wear a dress like that?! I love it!! It's young and FUN!! #3 is classic and beautiful, but #2 is just plain FUN!! AG, my sweet niece, you are growing up too fast! Whoa this is a hard choice, but I really like barbie option #2. Then sassy polka dot #1. The others are pretty, but not as fun, sassy and unique. Besides, one of my prom dresses was pink! #2 Barbie goes to prom! So much fun! Hi Andrea. I was just wondering what color your blanket scarf was? I really want to order one from the Tara Lynn site, and just wanted to know the color you have on! Barbie or the last one! The blue one is just your typical strapless dress. Polka dots! It screams FUN at the prom! The others are gorgeous, but look a little more winter formal to me. If this is indeed a winter prom rather than a spring prom, I'd pick the dark blue dress. That is the trend I have noticed around these parts: long dresses for winter formals and shorty and flirty for spring. blue, traditional classic and just flatters her perfectly! stunning dress. Aw! How cute is she? I love 2 if she wants to make a statement, and 3 if she wants something that fits her perfectly! Have fun Anna Grace!! She looks really beautiful in all of them! I have to say she looks terrific in the bright blue color of dress 3. It also appears to fit her really well, which means it will mostly likely be comfortable, and comfort along with beauty is sooo important for a long Prom night! I love number two! Polkadots at prom what fun! It's also shows all my favorite things in one dress , hot pink , black, awesome fun pattern. What a beautiful young lady! If the trend for prom is long dresses, I definitely say the BARBIE dress! # 1. Both fun, and yet tastefully classic! I completely agree. Beautiful girl and all the choices have merit but the BARBIE dress is a once in a lifetime choice! Go for it! 2 or 4 - both are stunning!! Anna Grace you look beautiful in all of the dresses! My favorites are #2 and #4. Can't wait to see your final choice! my goodness, she looks great in all of them! my vote would be the pink skirt, polka dot top. SO FUN! #3 - she looks stunning! Anna Grace is beautiful! Big hugs to Leeann!! I love #3! Have a wonderful time at prom!! The picture of you and the kiddos on the swing...priceless! I only have one little guy and I have that struggle every day! lol! And I have determined I totally want GG's hair and all her headbands for myself! lol! Yes, 36 year me wants to look like a toddler :) So cute! And the prom dress.....I am so not a fan of pink normally, but I absolutely love #2! It looks so fun and perfect for prom! #1 and #3! Such a pretty lady! I kind of love Barbie Goes to Prom because it's so different! But I also love the deep blue. She looks gorgeous in all of them! #1! Someone else said this, and I agree - She just lights up in that dress! Anna Grace is beautiful!! She look great in all of them!! I don't know what the high school trends are but if short dresses are in, I'd go for #1 it looks so cute and fun!! and if long dresses are still a thing, #2 is awesome!! I wish I would've had the guts to make a bold statement like that, you're only young once!! Please keep us updated on what she picks!! As much as I love Barbie goes to Prom...... I think she looks absolutely stunning in the long blue dress!! 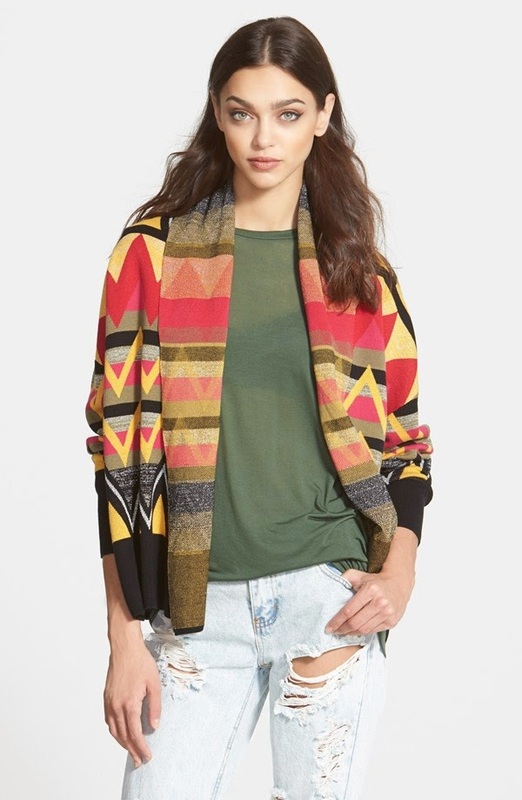 ps ~ I love my Aztec cardi from Tara Lynns....so comfy! Love the Barbie, so fun and awesome!!! Um Barbie goes to Prom of course!!!! I was homeschooled, so no Prom, but man alive, I want that dress!!! #1 & #2 - both of those are adorable!! #2- Barbie dress. There are only a few times in a girls life that she can wear a big princess dress and own it. Prom and wedding day. The dress looks like it is made for her. Ana grace looks beautiful in all of them. Have some fun and be different and pick dress #2!!! #4 for her. I want #3 for me! While I LOVE the Barbie dress, I think that the train in the back would make it difficult to dance in. She looks beautiful in #3--that is my vote! Gorgeous color, great fit, and a classic, timeless silhouette. Anna Grace is beautiful! Please tell her that her cousin Arden chose #1 and #4 and I totally agree. The polka dots SCREAM fun!! Depends on what the kids are doing on length, we never wore short dresses to prom, but I know its different at different schools. #2 is my fave. #3 and #2. So pretty! Anna Grace is so beautiful, my vote is dress 3 or 1.....such fun dresses! And, I can so see you running your errands and playing at the park in dress 2.....so you!!! #2 - BARBIE! Amazing dress! 2 or 4!!! She is gorgeous !!! two is the most fun and four looks the most flattering on her, both beautiful! Sad my girlie is now 20 but thankful for no longer prom dress shopping drama. My vote is #2 or #3. #2...adorbs...and looks like it was MADE for her! #1 is cute too. She looks great in all of them, but I'd say 3 or 4 have my vote! The 4th is a unique color, but that blue looks great on her. 4 is my absolute favorite. I would totally wear it. It is def the you are trying to blow your date out of the park dress. HOWEVER, I also think that 1 is precious. I love the sequins and polka dots! Loving the Spring MJ line!!! And ok with polka dots, pink and a full skirt, prom dress #2 has it ALL! Barbie! I want to buy it for myself and wear it EVERYWHERE!!!! She could rock any of them - she is very pretty. I love the #2 dress because it is unique. 3 and 4 are beautiful but very typical of prom dresses with the cut and ornamentation. So pretty. The first one is more like a homecoming dress and is adorable. She really couldn't go wrong with any choice, but #2 is my fave! DRESS 2 ALL THE WAY! Barbie goes to prom! LOVE that dress! I pick #2. Awwww the Barbie style. Styles come and go, except the Barbie style. It is C.L.A.S.S.I.C!!!!! What grade is Anna Grace in? (I dont know how Prom works in TX!) 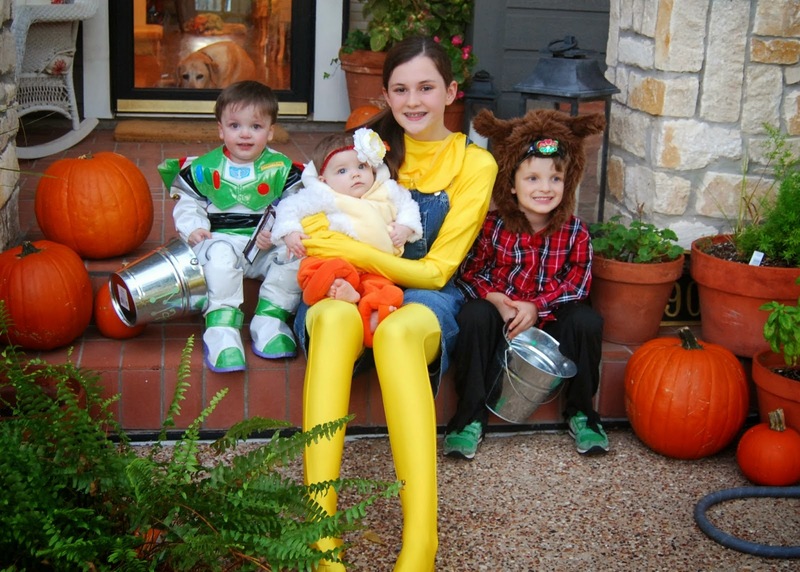 Do you also do dress-up homecoming? If she gets future years of promming it up, then I say #1 - fun and spunky and totally sassy. But it is a bit more casual, so if you do dress-up homecoming, it might be a better homecoming type dress. I am TOTALLY in love with #4. If it were me, I'd go with #4. PLEASE keep us posted on what she chooses! She can't go wrong with any of them. #2 aka "Barbie" definitely! It is so different and beautiful. #4 is beautiful too. I feel like the blue one has been seen so often and not really special. Dress #2 is unique and I love it! She could really have some fun with a bag, shoes, and jewels with the barbie dress. Numbers 3 and 4 are dresses in classic styles and are very elegant. I prefer the longer dresses for prom because it is one of the few "fairy tale" nights in a girl's life. There will be plenty of social occasions later on to wear a short dress. #1 is darling for sure. But Prom is the time to go glam!! #3 is beautifully cut and looks amazing with her skin tone. She wears that dress without it wearing her. Go for #3!!! Anna Grace could go in a garbage sack and still be gorgeous (inside and out!!) but...I'm going to vote for #4 ;). Dress #3, it shines elegance and grace on her! I love #3! She looks beautiful in all of them though! Love #1 and 3. MY vote goes for #1!! #2 or 3!! #2 for something different and super fun. #3 because she looks gorgeous in that color! I love the last two. 3 and 4 are both gorgeous! #3! But all are gorgeous on her. #3 - the color is gorgeous on her! #2!!! It's different and fun and embodies just what prom is! young, fun and a little different! lol! And it looks amazing on her. She should pick whatever it is she feels most confident in, but if I could convince her of what to pick it would be #2... Is FABULOUS and 5'10 beauty can definitely pull it off. # 3 or # 4, what a pretty girl! I hope she has a great time at prom! #2!!! Oh it's perfect! Dress 3 is second...but BARBIE, duh. Love your blog and love lots of the cute things you post! I'm a private school teacher too and I must ask - How do you afford your clothes?? That hoodie is darling - but it's 100 bucks! Would love a post on how you budget to afford such cute things on a teacher's salary! To answer your question, my blog has afforded me some really great opportunities, including reviewing products for companies (like Evys Tree) and earning some extra income (that we allocate toward investing and some "fun money") along the way. Hope that answers your question! Feel free to email me (dave-and-andrea@hotmail.com) if you have others! Thank you for the kind answer! #1 or #2 for sure!! The other two are gorgeous, but she's young (and beautiful!!!) and should enjoy rocking a bright pink or polka dot dress while she can!!! Plenty of time left for beautiful gowns. #1 (black and white) or #3 (blue) were the most eye-catching. She should pick whichever is most comfortable, lots of picture taking and dancing to be done! She is beautiful in all of them!! My personal favorite is 4😊💕!!! #2 is modest yet fun and she will stand out from the crowd! #2!!!!!!!!!!!!!!!!!!!!! Love it sooooo much!!! They are all pretty adorable. I think I like #2 and #4. I think #1 is too casual (just because it's a shorter), go to town sista, it's your prom! woohoo! I love #2 and wish it was around when i had prom!!! It's gorgeous, yet modern and the skirt is amazing!